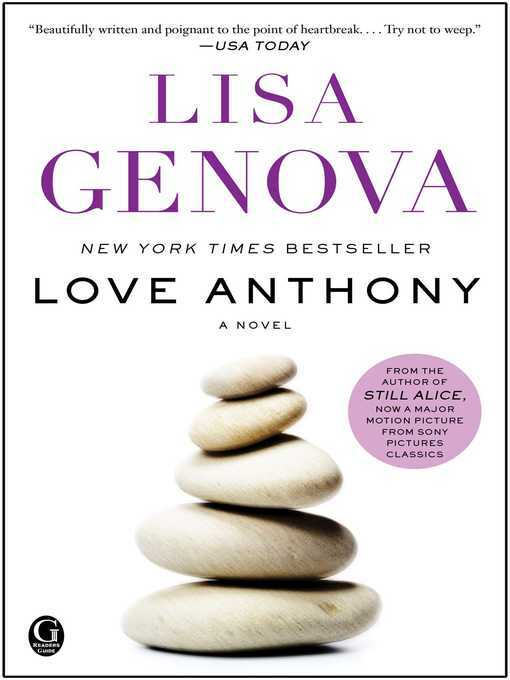 From bestselling author and neuroscientist Lisa Genova—whose novel Still Alice is now an Academy Award-winning film starring Julianne Moore—comes a novel about autism, friendship, and unconditional love. Look for Lisa Genova's latest novel, Inside the O'Briens, available now. In an insightful, deeply human story reminiscent of The Curious Incident of the Dog in the Night-Time, Daniel Isn't Talking, and The Reason I Jump, Lisa Genova offers a unique perspective in fiction—the extraordinary voice of Anthony, a nonverbal boy with autism. Anthony reveals a neurologically plausible peek inside the mind of autism, why he hates pronouns, why he loves swinging and the number three, how he experiences routine, joy, and love. In this powerfully unforgettable story, Anthony teaches two women about the power of friendship and helps them to discover the universal truths that connect us all.